On 24 February 2015 Parliament passed regulations to make the UK the first country in the world in which treatment involving DNA from three people can be used to prevent the transmission of serious mitochondrial disease from mother to child. Alexandra Humphris-Bach from Sciencewise outlines the importance of the public voice in guiding this process. Good public dialogue can help government to make better policy decisions. Scientific, political and economic evidence is obviously essential – but connecting with public views and values can open up potential for movement on controversial areas of policy, deliver significant overall cost savings, and increase the responsiveness and accountability of the policy. For members of the public, participating in a dialogue offers the chance to learn from written information, experts and each other; develop their views; reach carefully considered conclusions; and communicate these to those making decisions in government. Why is engagement with the public the right thing to do? Will it help to avoid later conflicts? Will it be valuable for economic growth? What type of engagement with the public is appropriate? Is it best to have a dialogue or is the need more to communicate an existing policy? Who are the public in this instance? How many people need to be involved? What is the best way to have the conversation? What locations are appropriate? How to make sure the engagement is adding value? What are the questions to ask the public? How will you ensure the dialogue is balanced and not biased? When should you have the dialogue? What aspects of your decisions or policy are open for consideration and what has already been decided? Are you open to being influenced by the views of the public? Nevertheless, it can bring huge insights and benefits to policy makers, and effect real change – as the recent project conducted by the HFEA and Sciencewise made clear. Sciencewise works with and co- funds government departments and agencies to enable them to consider, develop and commission public dialogue activities. Ways to Wellbeing: exploring what gets in the way of taking action to promote well- being, and how bodies such as the Department of Health can implement strategies. Geo-engineering: Natural Environment Research Council (NERC) to explore views on geoengineering, raise awareness and identify areas of concern to inform NERC’s geoengineering research activity and strategy. Synthetic Biology: Highlighted the diverse perspectives of UK residents on this new area of research, to ensure these are reflected in future policies. Find free support and information about getting project funding at www.sciencewise-erc.org.uk. 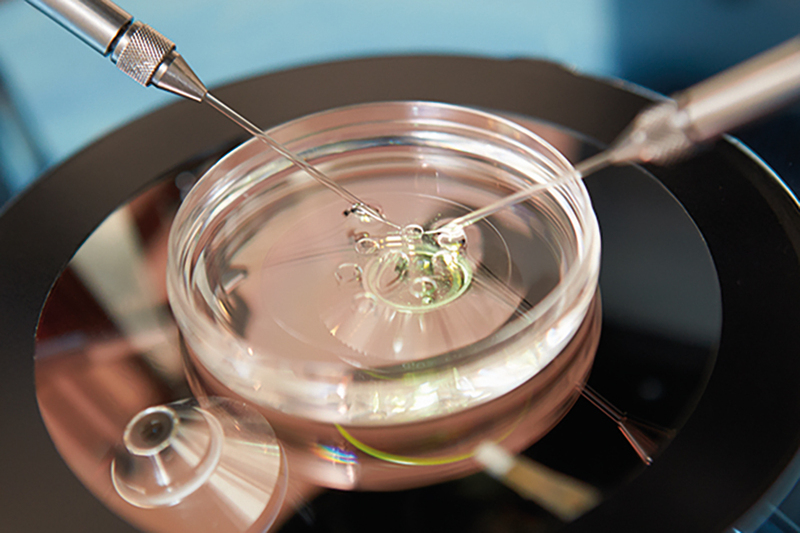 HFEA licenses and inspects UK fertility clinics and UK research involving human embryos. HFEA was asked by the Secretary of State for Health, and the Secretary of State for Business, Innovation and Skills to undertake a dialogue project to establish the public’s views on mitochondrial donation: emerging IVF-based techniques to prevent the transmission of serious mitochondrial disease. The public dialogue fed into HFEA’s advice to the Department of Health (DH), which published, consulted upon and laid before Parliament draft regulations for the use of new techniques to prevent the transmission of mitochondrial diseases from a mother to child. A draft impact assessment estimates monetary benefit of implementing the regulations at £318 million over 10 years. MPs and Lords voted in favour of a change in genetics law to allow mitochondrial donation – an emotive and contentious topic which prompted news headlines such as ‘MPs say yes to three-person babies’ (BBC) and ‘A dad and two mums’ (The Economist). Public views gathered by Sciencewise on behalf of HFEA were crucial in supporting this policy amendment. Mitochondria are present in almost all human cells. However, DNA faults in mitochondria can lead to genetic disorders, known as mitochondrial disease, which have no known cure and limited treatment options. These conditions, ranging from mild to life threatening, can be transmitted from a mother to her children. New medical techniques, applied as part of an IVF cycle, could prevent mothers passing on genetically-inherited mitochondrial diseases. The techniques involve moving nuclear DNA (the vast majority of genes in a cell, which make us who we are) from a patient’s egg or embryo containing unhealthy mitochondria to a donor’s egg or embryo containing healthy mitochondria, which has had its nuclear DNA removed. A resulting child would inherit nuclear DNA from both parents, and mitochondrial DNA from a donor. These techniques are currently illegal in the UK for treatment purposes under the Human Fertilisation and Embryo Act 1990. Permitting mitochondrial replacement in treatment would require a change in the law by Parliament, through secondary legislation to introduce regulations. How did the public contribute? interested stakeholders’ arguments for and against the techniques. The dialogue encompassed a variety of engagement activities and a wide range of people, with varying levels of knowledge about mitochondrial diseases and the associated concepts, to ensure a full representation of public opinion. Deliberative public workshops: 30 participants, representing a broad spectrum of age, gender, socio- economic status and family circumstances, met twice at workshops held in three cities. These workshops aimed to explore public attitudes in-depth, and understand participant viewpoints as they become increasingly engaged with and knowledgeable about mitochondrial disease and mitochondria donation. Public representative survey: Across 175 locations, almost 1,000 face-to-face interviews were conducted with members of the public, selected using demographic quotas. These aimed to benchmark public opinion on attitudes towards medical research and genetic treatments generally, as well those specifically relating to mitochondrial disease. Open consultation meetings: Two public meetings, in London (53 attendees) and Manchester (39 attendees), were open to everyone. A panel of speakers, reflecting different perspectives and areas of expertise, discussed their views and shared their knowledge with audience members, who took part in small group discussions and whole group debates. Patient focus group: A focus group (and telephone interview) for six participants affected by mitochondrial disease, either directly or indirectly, to harvest their in- depth views. Open consultation questionnaire: 1,836 people – including stakeholder organisations, individuals with personal experience of mitochondrial disease, and many members of the public – responded to a range of information presented on the consultation website by completing seven questions on an the online questionnaire. An independent group, comprising a diverse range of experts with different perspectives, oversaw the process; and advised and checked materials. "As ever, the balance has to be struck between the likely risk and the benefit to those affected. Overall, the public was in favour. When randomly selected people looked at the evidence they didn’t think this a slippery slope to ‘designer babies’ or that it amounted to ‘three- parent-IVF’, as there is no genetic effect on identity." Views varied in the different strands of the consultation, but overall there was general support for permitting mitochondrial replacement in the UK–if safe and is conducted within a regulatory framework. The principal reason given was that the techniques enabled parents to have healthy children who are genetically their own. Views were largely dependent on the risks involved, and safety and success rates of the techniques. The representative public survey showed over half are ‘very’ or ‘fairly’ positive about mitochondria donation – despite about half feeling that ‘the application of medical research leads to unforeseen negative side effects’. Some felt that, if the techniques were possible, there is a clear ethical obligation to implement them (views echoed strongly at one of the open consultation meetings and the patient focus group). Patients stressed that individual parents and families should have the choice about whether to use these techniques, whilst also being aware that this may involve some risks. The open consultation questionnaire, completed by a self-selected sample, was unique in showing slightly more people opposing than supporting the techniques. "HFEA and the Government have been exemplary in their balanced public engagement on this important issue." Written evidence submitted by Wellcome Trust to Science & Technology Committee, October 2014. In a letter to The Guardian, eminent scientists and nobel prize winners from across the world applauded the consultative process behind this historic decision: the UK has run an exemplary and internationally admired process for considering the benefits, risks, ethical issues and public consent, which must properly precede a change in the law. On 28 June 2013 the Chief Medical Officer (Dame Sally Davies) specifically referenced the public consultation and its conclusion of support “subject to strict safeguards and careful regulation” when announcing the DH decision to make “innovative IVF-based techniques... available to patients to help prevent serious mitochondrial disease in the UK.” Draft regulations (following further consultation) were laid before Parliament on 17 December 2014. This dialogue project has directly contributed to policy development, and to a change in the law being considered. Joe Public clearly does have a voice, it has been heard to great effect, and it should continue to be heard as a part of government policy making processes. You can also learn more about how deliberative dialogue could be applied to your policy area here.